Day 3 of Operation Odyssey Dawn showed how the air campaign in Libya has entered the “mobile SAMs hunt” phase. This is what the increasing number of sorties by SEAD (Suppression of Enemy Air Defence) assets show. Given that the majority of the fixed SAM launchers and radar sites was clearly identified and selected ahead of the start of the operations and (most probably) attacked and destroyed during Day 1, what remains on the ground is a bunch of mobile launchers that can pose a risk to the aircraft that are (and will be) involved in the enforcement of the No-Fly Zone. Hence, hidden and moveable SA-6s and SA-8s, are likely to be intact on the Libyan territory and their suppression requires specific missions by aircraft capable of identifying, locating and attacking radars that provide guidance to the surface to air missiles. 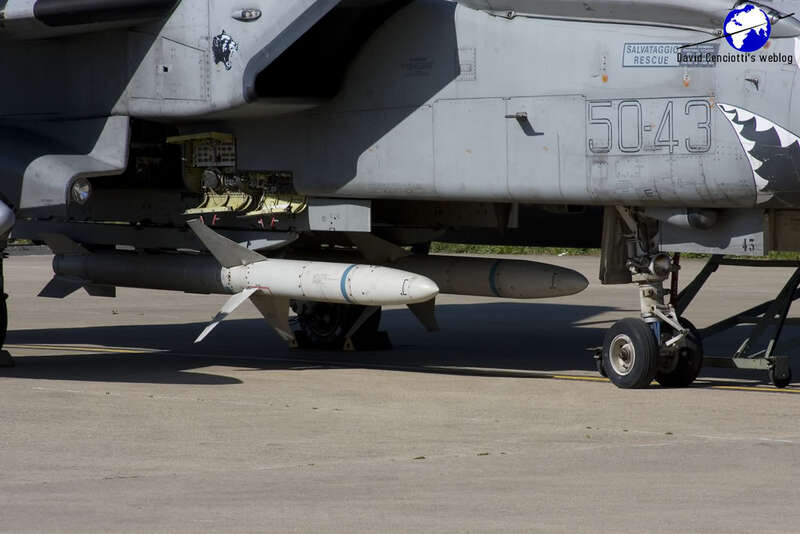 These assets are the Italian Tornado ECRs, belonging to the 50° Stormo, and deployed to Trapani, in Sicily, and the F-16CJs, of the 52FW/480FS, and the US Navy VAQ-132 EA-18G Growlers, that have been operating directly from Aviano, in NE Italy. The latter are particularly important since they can both identify the emitters, updating the EOB (Electronic Order of Battle) of the Libyan forces, and jam the operating frequencies of the SAM radar sites, blinding those that although capable of engaging coalition aircraft can’t be attacked because of the strict RoE (Rules of Engagement) placed to prevent collateral damages. Indeed it is not always possible to aim at a radar station with a HARM (High-speed Anti-Radiation Missile), the type of weapon usually carried by SEAD assets in a so-called Wild Weasel mission (radar suppression mission), even after its presence was discovered: just think to a radar that is turned on intermittently or to SAM sites surrounded by human shields. 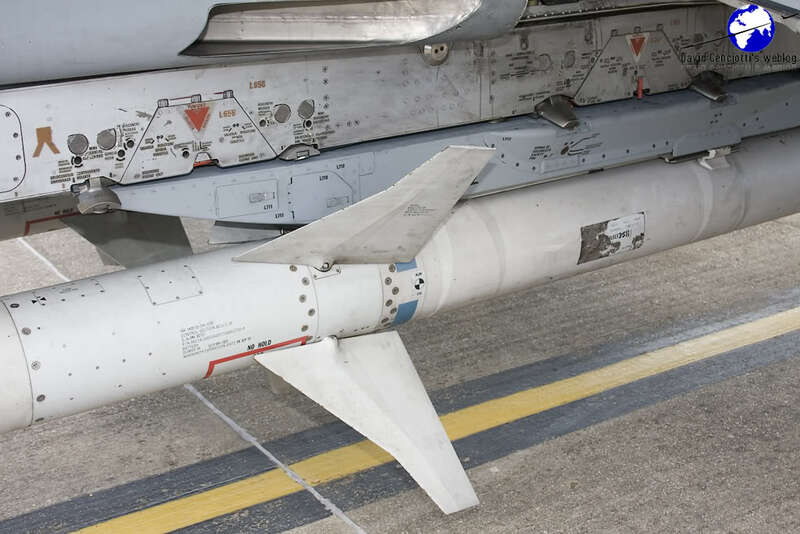 For this reason, most of times, planes involved in SEAD strikes return to their homebases with their missiles still attached to the underwing pylons, as happened to the Italians during Day 2, when the Tornado ECR did not fire their HARM missiles because they did not find any active radar during their patrol mission. Previous air campaigns demonstrated how long the process of tracking down mobile targets could be; consequently, planes ensuring SEAD will be a constant presence inside the Libyan airspace. Noteworthy, one of the radar-suppression fighters involved in a mission over Libya was the protagonist of an episode that tell us much about the technologies available today to track the aircraft involved in Odyssey Dawn: with simple and cheap tools, the famous Dutch radio communication expert known under the Twitter username @FMCNL, the one who made available to everyone on the Internet the audio file of the Psyops message broadcasted by a US EC-130J (see Day 2 debrief for more info), warned US Africom Command that in the morning of Mar. 21 an F-16CJ was broadcasting its identity in the clear by means of its Mode-S transponder. Most probably not only Gaddafi’s forces were not using ADS-B receivers to track coalition aircraft and would not do much with that information since there are many other more and less sophisticated ways to know that a Wild Weasel is flying (for example, just watch TV reports showing aircraft departing from their bases…. ), but the episode demonstrates once more what can be done with off-the-shelf products and a bit of knowledge, as well as that skilled enthusiasts following air operations can help the coalition to improve self-protection and safety of some of its High Value assets. By the way, the F-16 was not the only aircraft to broadcast information: on Flightradar24.com, the Canadian CC-150 (A310) was irregularly trackable transmitting full ADS-B info. 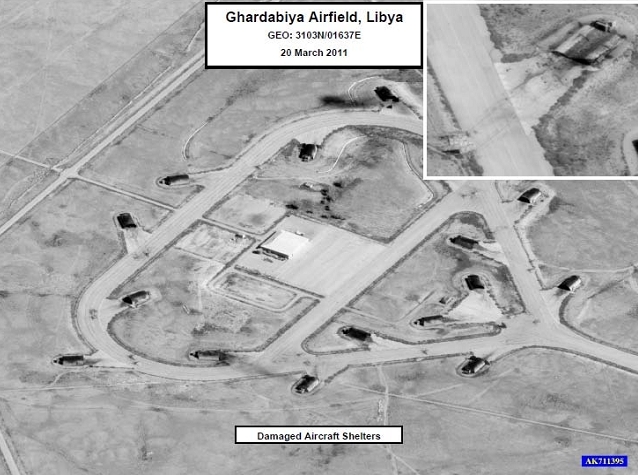 So far, no activity from the LARAF (Libyan Arab Republic Air Force), or what remains of it, was reported: as the Pentagon briefing showed, the B-2s (and the TLAM attack) targeted and destroyed the aircraft shelters at Ghardabiya airbase where a recent analysis from Tom Cooper of ACIG.org assessed no less of 7 LARAF units equipped with Mig-21s, Su-22s, Su-24s, J-21s, Mi-8s and Mi-24s. If the majority (if not all) the resident and visiting aircraft were inside the HAS (Hardened Aircraft Shelters) a single attack destroyed a large part of the Libyan Air Force as a few aircraft should have survived at Mitiga and Sabha airfields. 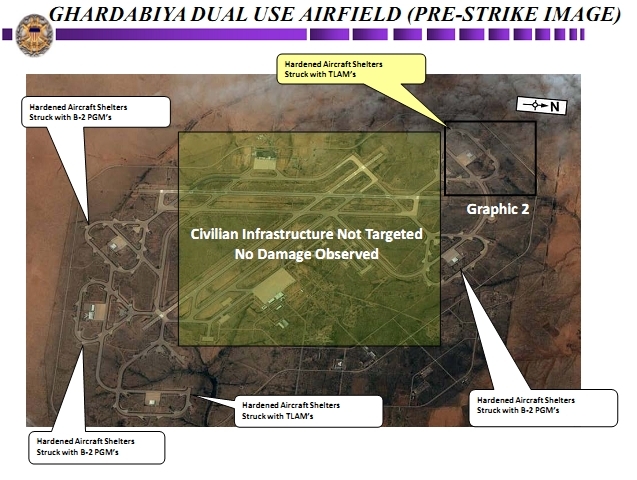 There’s also the possibility that some active aircraft were dispersed in one of the many Libyan airports located in the south a zone that is not covered by the allied No-Fly Zone as the image posted below (taken from the US DoD briefing) shows. This could be the reason for escorting SEAD aircraft into the Libyan airspace (for instance, Italian Tornado ECRs were escorted by pairs of F-16s of the 18° Gruppo) and for asking for more F-16s: indeed Italian Minister of Defence announced on Mar. 21 that the coalition has asked Italy to contribute to Odyssey Dawn with more F-16s (not Tornados). 1) first sortie flown by 2 EF-18s and 1 B707 of the Spanish Air Force deployed to Decimomannu and first of the Belgian Air Force F-16AMs from Souda Bay, Crete. Another first was the one of the RAF Typhoons deployed to Gioia del Colle; these are the only F-2000s actively and officially partecipating in the air campaign, as Italy provides 4 F-16s (most probably because the Eurofighters are dedicated to the strengthened QRA service). 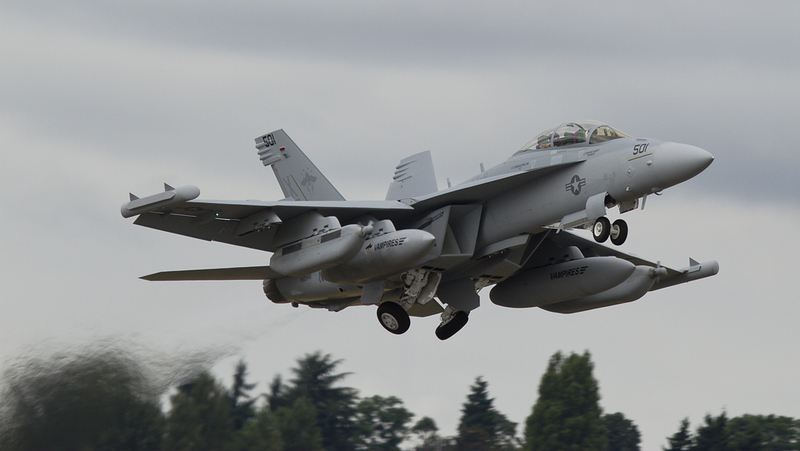 CAF CF-188 (F-18) flew and will probably only fly air defence missions. 2) Build up continues with the deployment to Souda, via Decimomannu, of 6 Royal Norwegian Air Force F-16s. Even Qatar Emiri Air Force Mirage 2000 Mk5s are due to deploy to Souda on Mar. 22 while it was officially announced that the UAE Air Force involvement in Libya “will be strictly confined to humanitarian assistance” and there will be no F-16s deployed to Italy as ANSA news agency had previously reported. 3) FAF has flown more sorties from Solenzara, even if after Day 1 (4 tanks destroyed 100 km south of Benghazi), all the other missions were “dry” armed recon/patrol flights. 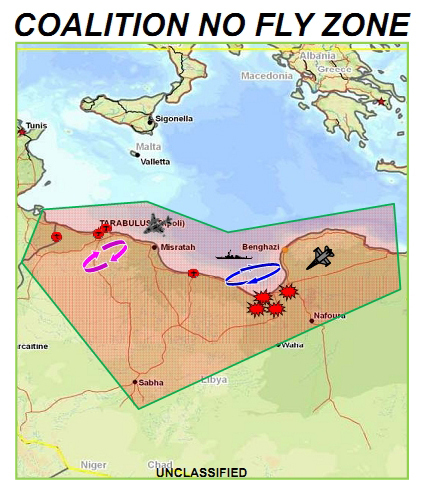 4) France has clearly shown an interest to assume command of all air operations of Operation Odyssey Dawn while Italy threatened to cease supporting coalition planes on its airbases and close its airspace if NATO does not take over the unitary command of the air campaign, in clear contrast with the French position.